So…you’re probably here because you want to know if RumChata is good with eggnog?! 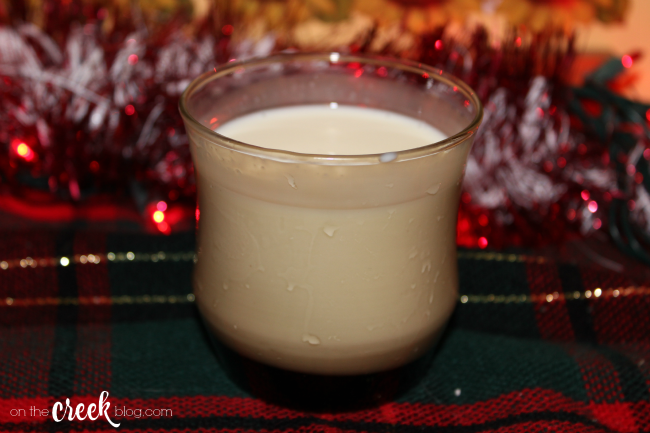 RumChata is a dairy cream liqueur which pairs amazingly well with eggnog. It’s like eggnog on steroids! I’ve always been weirded out by dairy based alcohol, but decided to give RumChata a shot with some eggnog & it was fantastic. Of course, the eggnog to RumChata ratio is completely up to you! I’d probably start off with a small amount of RumChata & go from there. Also, the RumChata website has a ton of other delicious recipes!